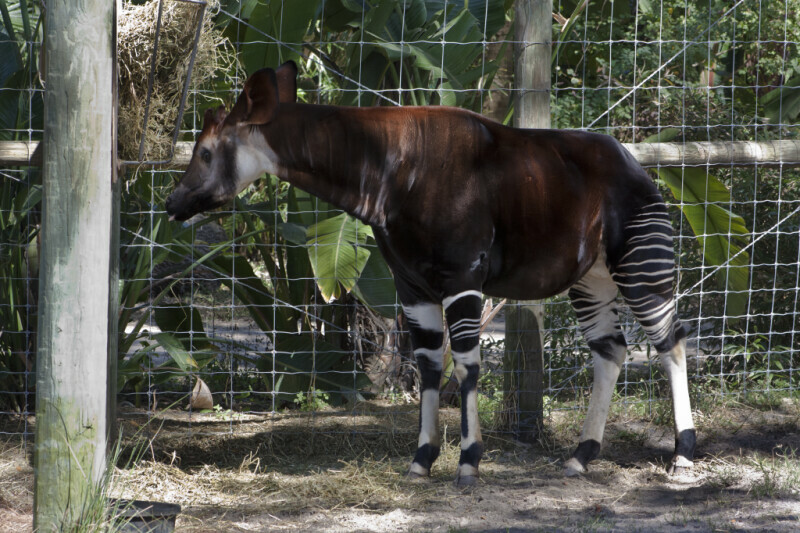 Side view of an okapi at Lowry Park Zoo. This species was not discovered by Europeans until the turn of the nineteenth century, due to its remote habitat in central Africa. WARNING: You are about to download a 21.3 MB TIFF!